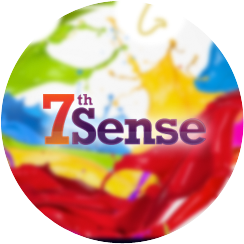 7th Sense is the core idea of our entire digital campaign, which highlighted the 'Seventh Sense of Imagination', keeping in accordance with the tagline, 'Paint your imagination'. The same was incorporated into the concept continues to be presented through social media. The objective of the #RecreatingMemories #BergerBond Rakshabandhan campaign was to celebrate the beautiful bond of Rakhi by making people recreate memories with their siblings. There was a contest asking participants to comment/tweet pictures of recreated memories to win shopping vouchers. 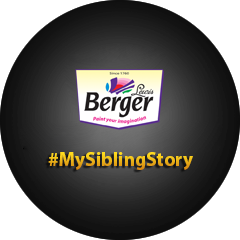 The objective of the #MySiblingStory #BergerBond Rakshabandhan campaign was to celebrate the beautiful bond of Rakhi by making people share their sibling stories to win shopping vouchers. Berger Paints hosted #IndependenceDay #ColoursOfIndia #ColourQuiz asking 10 questions around colours for Independence Day. 10 winners were gratified with shopping vouchers and one grand prize was rewarded to the winner answering all the questions correctly. 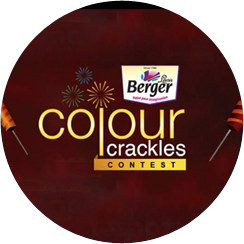 The objective of the contest was to promote the Berger Silk Illusions range during Diwali. Participants were asked to share pictures of their Diwali look inspired by the Berger Silk Illusions Metallica range to win beauty vouchers. 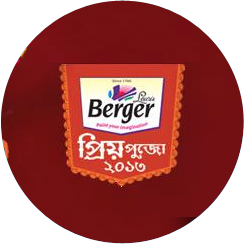 The objective of the contest was to blend promotion of Berger Anti Dustt with Diwali celebrations using a Facebook newsfeed application. Participants were asked to create #BergerERangoliDiwali using the Berger Paints' shade options in order to win shopping vouchers. 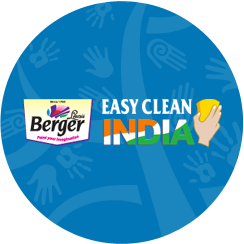 The objective of the #BergerEasyClean Children's Day contest was to promote Berger Easy Clean. Participants were asked to share pictures of drawings/paintings made by their kids to win crossword vouchers for their kids. The objective of the contest was to amplify the on-ground branding activity and promoted Berger Silk Glamor using social media channels. The contest invited entries from cities in which glamor metros, cars, etc were placed. The objective of the campaign was to spread the social message that sometimes all it takes is a little imagination to celebrate life. A digital film with subtle branding was created for Ganesh Chaturthi – with the central theme being #PaintYourImagination – Berger's first ever Digital Video. Additionally, a contest was announced inviting overwhelming entries where participants were requested to submit the pictures/videos of decoration for Ganesh Chaturthi celebration. The objective of the contest was to engage participants by asking the FIFA watchers to predict the winners for every match of FIFA starting from 30th June. The objective of the contest was to build on the Father-Son TVC on the occasion of Father's Day simultaneously promoting the service. Berger Paints organized a contest based on their T20 TVC wherein a kid is teaching his father the better of painting inviting the participants to share learnings their kids have taught them. #Berger Paints invited people to nominate Mother's for the #BergerSmartMomAwards on the occasion of Mother's Day. This gave people a chance to acknowledge how mother's smartly handling various situations making kids lives better and easier. Both the winners of #BergerSmartMomAwards and people who nominated theme were awarded and given shopping vouchers. Berger Paints also collaborated with top Mommy Bloggers to write about hacks that make them a smart mom and embed product in it. #BergerSnapandWin held on 10 days of this T20 season urged people to click photo of Berger Paints ad played during ad breaks and share it on Twitter. Total numbers of winners were 10 each of whom was given shopping vouchers. 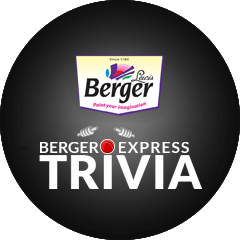 Berger Paints hosted #BergerExpressTrivia giving prizes every ad break after overs during 3 matches. This campaign received an overwhelming response as people participated in huge numbers. 120 winners were announced during the entire course of the contest. Berger Paints india went beyond 'designing a creative for Holi' to 'Celebrating It with their fans'. The brand shortlisted some influencers and created custom 'Holi profile pictures' for each one of them by smearing their faces with colours. A line above the photo read 'Buraa na maano... holi hai!'. #RangonSeKyaDarna holi contest was hosted by Berger Paints on the occasion of Holi asking participants to share their Holi selfies passing the message of celebrating Holi in all spirits without fearing colours. This message is strongly echoed by Berger Easy Clean, a product which allows paint to be cleaned easily from the walls thus making people scribble, spill, colour the walls without the fear of stains. Berger Paints organized #ColoursOfChristmas contest in association with The Scribbled Stories wherein participants were asked to submit #ColoursOfChristmas stories. Winners selected on the basis of votes on their stories were gratified with shopping vouchers. The objective of the #EverydayChildrensDay campaign was to promote Berger Easy Clean. Participants were asked to share pictures of scribbles made by their kids on walls of their home in the comments section to win shopping vouchers. 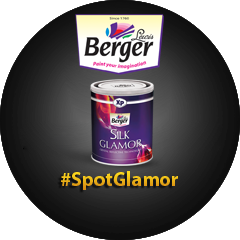 The objective of the #BergerSilkGlamor campaign was to promote the Berger Silk Glamor new ad. There were 4 contests held to promote the TVC for Berger Silk Glamor. Participants were asked to share their entries (Describe walls using #MyWallIn5Words, Answer hourly questions, Share a screenshot of favourite scene from TVC, Share a screenshot of the Berger Silk Glamor Stencil which suits their personality most) in the comments section in order to win shopping vouchers. The objective of the #ColourfulBond Rakshabandhan campaign was to celebrate the beautiful bond of Rakhi. There was a contest asking participants to comment/tweet their memories of the #ColourfulBond they share with their siblings. Participants were asked to share their entries in the comments section to win shopping vouchers. The objective of the #BergerKoolNSeal campaign was to promote Weathercoat Kool and Seal product properties. There were two contests held around Father’s day asking participants to tell us why they think that their father is the coolest and how they seal the deal with their father. Participants were asked to share their entries in the comments section to win shopping vouchers. The objective of the #BergerEasyClean campaign was to promote Easy Clean's new ad. There were 3 contests held to promote the TVC. Participants were asked to share their entries (Wallfies, Answers & Messages for stains on the wall) in the comments section in order to win shopping vouchers. Like Traditional painting to Express painting, there are many things that have evolved over the period. Participants were asked to comment about various evolutions in Communication, Transports, and Cricket etc. for a chance to win shopping vouchers. 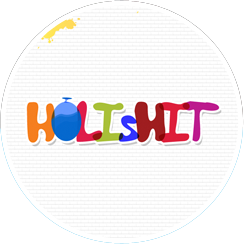 The objective of the campaign was to bring out the various elements of Holi. There were different kinds of 'stop the gif' posts shared across platforms. Participants were asked to take a screenshot of a particular moment & share in the comments section for a chance to win shopping voucher. The objective of the #ColoursOfChristmas campaign was to embrace the colours of the festival – Red, Green, White and Gold. Participants were asked to comment about Christmassy things in these colours along with pictures/selfies for a chance to win shopping vouchers. The objective of the campaign was to blend Diwali festivities and typical make-shift ‘jugaads’ that people resort to when they have procrastinated in getting their home painted. #BergerDiWALLi gave participants on social media a chance to display their creativity with the Décor Jugaads they pulled off, giving them a chance to win prizes worth Rs. 1 Lakh. #JaldiKaro was formulated to announce and promote Berger's new quick service paint job – Express Painting, using engaging and interactive social media activity and communication. It was also combined with the launch of the new TVC – T20 of Painting and both the properties were promoted online. Raksha Bandhan is all about celebrating the love-hate relationship that siblings share and to further nurture this bond, Berger Paints stepped on the digital podium calling out to all the siblings to refresh old memories as well as make new ones. 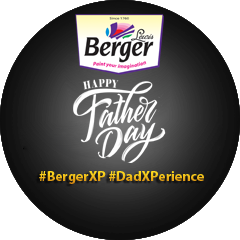 The gratification included Berger Illusion Walls & Gift Vouchers. 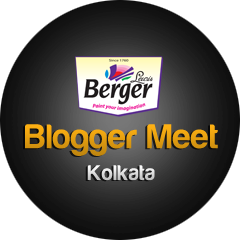 Berger organized a fun evenings in association with Indiblogger, introducing the revolutionary Express Painting service bloggers. This meet has taken place in 4 cities – Kolkata, Bangalore, Mumbai & New Delhi. The event was a big success and created huge buzz on social media. 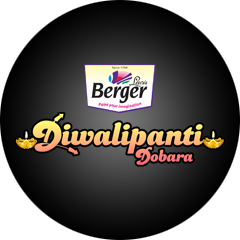 Berger Diwalipanti Dobara celebrated the spirit of Diwali in a creative and fun way, allowing users to express themselves by creating their own unique artwork, submitting it to our #DiwalipantiDobara contest, sharing it as a greeting and much more. 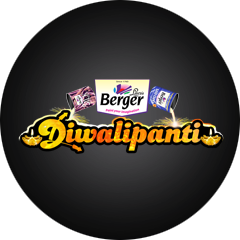 Whether you prefer a more traditional approach when it comes to celebrating Diwali or you love the hustle and bustle of the celebrations, Berger's DiwaliPanti microsite offered something for all with its Unplugged and Funplugged sections! 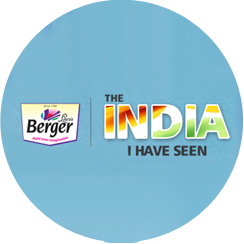 The India I Have Seen is a microsite built as part of Berger Paint's Independence Day campaign. Users have to enter their date of birth on the microsite and all the events of national importance that have occurred since that date are showcased in the form of an infographic. 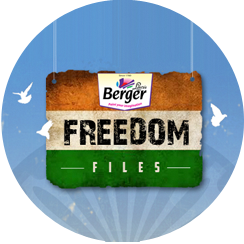 Berger Freedom Files is another microsite that is part of Berger Paint's Independence Day campaign. The microsite presents a set of questions around India's Independence, which when answered correctly, unlocks the next Freedom File. 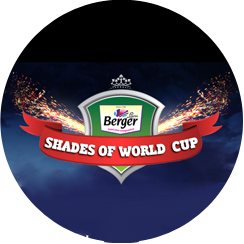 Berger Shades Of World Cup was launched during the FIFA World Cup 2014 in order to provide users with a platform where they could explore different moments of the World Cup through digital and social media. Each moment was represented using a different colour shade of Berger Paints. The concept of Berger Easy Clean India is to create awareness regarding the cleaning of pressing issues that are ailing the country, through firmness and unity of the nation's citizens. The theme revolves around promoting a clean and progressive India. Colour Crackles was a game based contest where participants had to recreate the colours of Diwali crackers shown in an image, provided for reference on social media. Users with the highest accuracy and fastest timing were declared winners. 'Priyo Pujo' was a unique 'Pujo' Awards initiative where the public decided the best one. Users had to check out the 'Pujo Pandals' in Kolkata and vote for their favourite one. This activity was promoted on various radio channels and social media. The winners were given the chance to be groomed by celebrities. 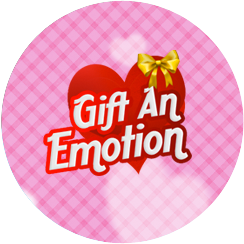 Berger's Gift an Emotion campaign enabled users to express their inherent emotions on the occasion of Valentine's Day, the globally celebrated day of love. The entire Valentine's Week was celebrated by conducting contests and promoting the same on social media. Holi's Hit promoted the concept of a safe and peaceful Holi by providing a platform to celebrate the true essence of Holi, while conveying a special message to spread love, colour and happiness in a safe and peaceful manner. Connect with us to find and follow what we're up to across social networks. Your interaction gives us a new direction and inspires us to come up with innovative ways to communicate. 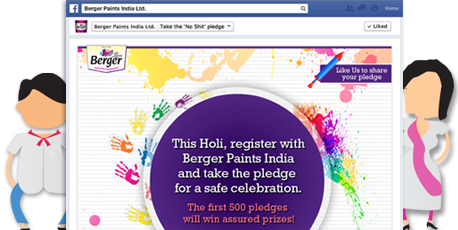 Visit Berger Paints India's profile on Pinterest. 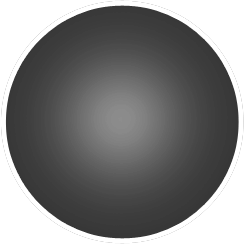 Videos, images, posts, tweets, re-pins... You can pick how you want to reach out to us, we love listening to your views and opinions! Rediscover your imagination with Berger's ground-breaking tools. Explore from our tools to pick the right shade, estimate correctly, find your lucky colour and explore your painting skills with a virtual painting tool! Estimate correctly & save more! Find your lucky colour this month! All you have to do is stay updated about Berger's activities to emerge as a winner. Many have already won and the rest are potential winners. Get your name listed at the Winner's Club! Disclaimer | © 2014 Berger Paints India Limited - All Rights Reserved.